Keep your home in order while keeping yourself warm. Floor heating is a versatile and energy efficient heating option. Next time you do a load of laundry you will want to throw in the socks your wearing! Installing Laundry Room radiant floor heating has never been So Easy! Environmentally friendly and energy efficient! Running 1Watt of our heating element in the floor is more efficient then running 1Watt of a standard light bulb. Floor heating evenly spreads the heat throughout the floor, as the heat rises no energy is wasted. By starting with heating the floor no energy is wasted by beginning the heat in the ceiling, where it will stay and remain less effective. 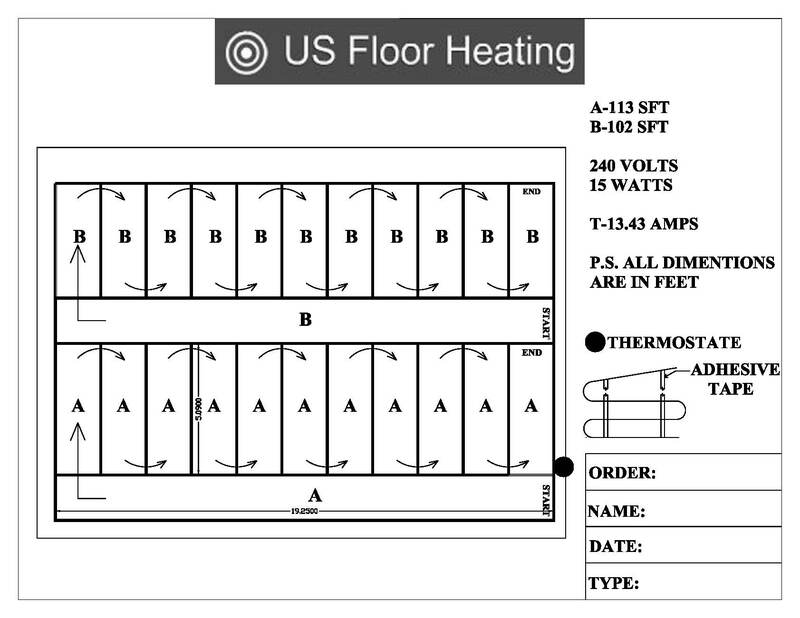 The floor heat will radiate to the rest of the room evenly and comfortably. Go Green with radiant floor heating in your Laundry Room and Save Money! Want to talk with us regarding your Laundry Room radiant floor heating or any other heated floor project you may have. Please feel free to chat with us or leave us a message if we have stepped away.